Or perhaps it should be spelled pair? 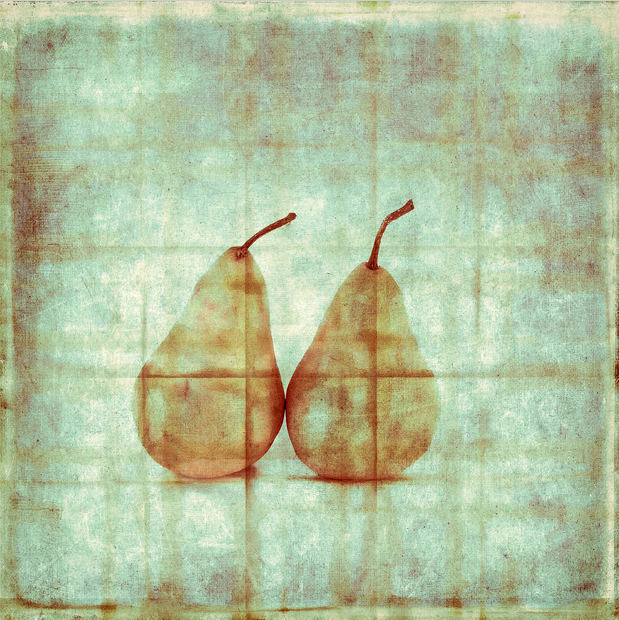 IMAGE: “Two Yellow Pears on Folded Linen” by Carol Leigh. Prints available at fineartamerica.com. ABOUT THE AUTHOR: Mathias Jansson is a Swedish art critic and poet. He has contributed with visual poetry to magazines such as Lex-ICON, Anatematiskpress, Quarter After #4, and Maintenant 8: A Journal of Contemporary Dada. He has also published a chapbook at this is visual poetry and contributed with erasure poetry to anthologies from Silver Birch Press. Visit him at mathiasjansson72.blogspot.se, or his author’s page at Amazon.com.